The Dynasty Warriors series is one of the most popular video game series ever created and, as such, it has spawned countless spin-off titles during the years, including some rather popular ones based on successful manga and anime series like One Piece and Berserk. While most of the Dynasty Warriors series spin-off titles feature the same gameplay experience of the mainline titles, there are times when Omega Force tried to branch out the series’ tried and true formula to offer something markedly different. With Dynasty Warriors Godseekers, Omega Force tried combining elements of the main series with a rather straightforward tactical RPG gameplay experience that, while solid and quite enjoyable, will definitely not end in anybody’s Game of the Year list. Dynasty Warriors Godseekers tells the story of the young warrior Zhao Yun and his friend Lei Bin, as they decide to check out a mysterious person found in a mysterious shrine by the remnants of the Yellow Turbans, a peasant rebel faction. Little do Zhao Yun and Lei Bin know that they will find themselves entangled in the political struggle of the final days of the later Han Period, and eventually participate in a battle that shall mark history forever. 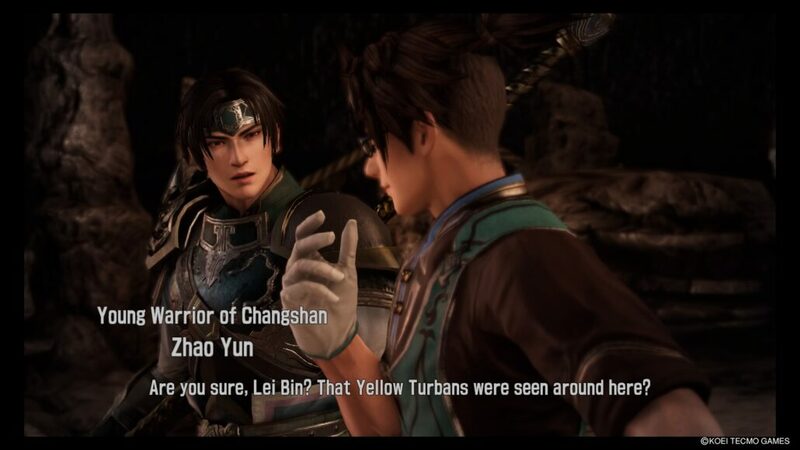 Dynasty Warriors Godseekers’ story is presented with a series of cutscenes as well as dialogue boxes with static portraits of characters. Like in other Dynasty Warriors games, those fascinated with ancient Chinese history will love to meet celebrated heroes and generals inspired by real history, but even those who have little knowledge of the time period will find something to like while moving from one battlefield to the next. The story and characters aren’t exactly standouts, but they provide the right motivation for players to move along with the story. Dynasty Warriors Godseekers’ more than serviceable story is just one of the good features of the game, as the gameplay is solid without a doubt, despite not being revolutionary in any way. Dynasty Warriors Godseekers plays like many other tactical role-playing games: player and CPU take turns to move units on the battlefield, engaging one another when in range. Retaining the same type of one against many feel of the main Dynasty Warriors series, Dynasty Warriors Godseekers allows players to attack multiple units at the same time with special skills which can be performed one after the other if the unit possesses enough energy. The ability to select different targets for these attack chains also adds some interesting strategic possibilities, as it allows units to escape pincer attacks and turn the tide. With back and side attacks dealing increased damage, this is extremely important. Units in Dynasty Warriors Godseekers are variegated enough, allowing players to employ a variety of strategies depending on the situation. The five unit types come with some unique perks which, alongside individual special skills, helps in making them feel unique enough. Further unit customization is also possible through the equipment system, which allows players to equip units with a set number of weapons and items, and the skill system, regulated by the Skill Board, where it’s possible to exchange SP gained in battle for skills and stats enhancements. 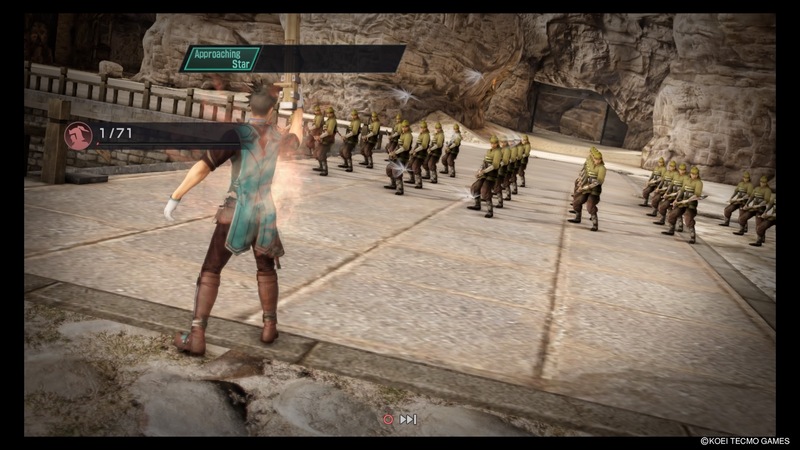 Rounding up the mechanics are also a morale system in the vein of the main Dynasty Warriors games and the Objectives system, which grants extra rewards when optional objectives are cleared. The variety of combat scenarios is also good, with different main objectives, so it does take a while for the game to become stale. The Dynasty Warriors Godseekers experience is, without a doubt, quite solid, but it doesn’t stray far from what tactical role-playing games have been doing since the 90s. Playing the game gives a Final Fantasy Tactics, Tactics Ogre feel that’s very enjoyable, but that also doesn’t make the game stand out in any particular way. It’s an enjoyable ride, but not one many will take twice, as the experience is also linear, not counting some optional battles where players can grind as well as learn more about characters. Having been released on PlayStation 3 in Japan, as well as on PlayStation Vita and PlayStation 4, Dynasty Warriors Godseekers isn’t one of the best looking games around. The presentation is definitely clean, but it’s clear how character models, locations, and cutscenes are from the previous console generation. The game doesn’t exactly deliver on the audio front as well, with a decent, but not astounding soundtrack, and the lack of an English dub, which can be disappointing for some. Like with most Dynasty Warriors games, Omega Force played it somewhat safe with Dynasty Warriors Godseekers, offering a solid yet unremarkable experience. Fans of the genre and the series as a whole will find plenty to like in the game, as the tactical rendition of some of the staples of the series is quite interesting, but at the same time they won’t be able to shake off the feeling that they have experienced something extremely similar in the past. PlayStation 4 version tested. Review code provided by the publisher. Dynasty Warriors Godseekers manages to capture the spirit of the series with its tactical experience, but sadly fails to stand out from the competition and the classic games of the past due to the lack of any real innovation. Despite this, there's still plenty of fun to be had for fans of the Dynasty Warriors series and tactical RPG, as the experience is quite solid. Just don't expect to remember Zhao Yun's journey six months from now.